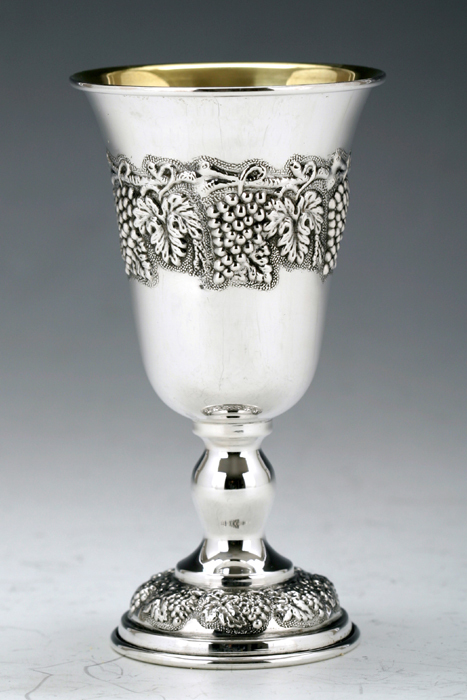 Hadad Silversmiths created this 925 Sterling Silver Kiddush Goblet to decorate your Shabbat & Holiday table. Made in Israel by Jewish Laborers. Wt 83g. Intricately engraved grapevine pattern encircles this elegant Kiddush goblet and around its foot.